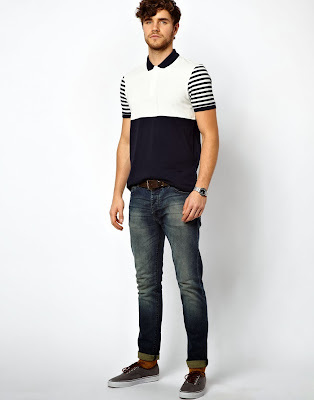 Check out this casual, yet awesome outfit I created from ASOS' collection. I must say ASOS is one of my favorite online stores. ASOS has an amazing variety of items at affordable prices. One thing I like about ASOS is that they offer slim fit shirts in sizes from XXS to XL. I tend to buy their XS shirts for a perfect fit. Being based in the UK, their product selection is perfect for those dudes with small frames or "average" heights. Oh yeah, ASOS offers free two day EXPRESS shipping when you spend $75+. In addition, anything that you don't like can be returned for a refund for free! 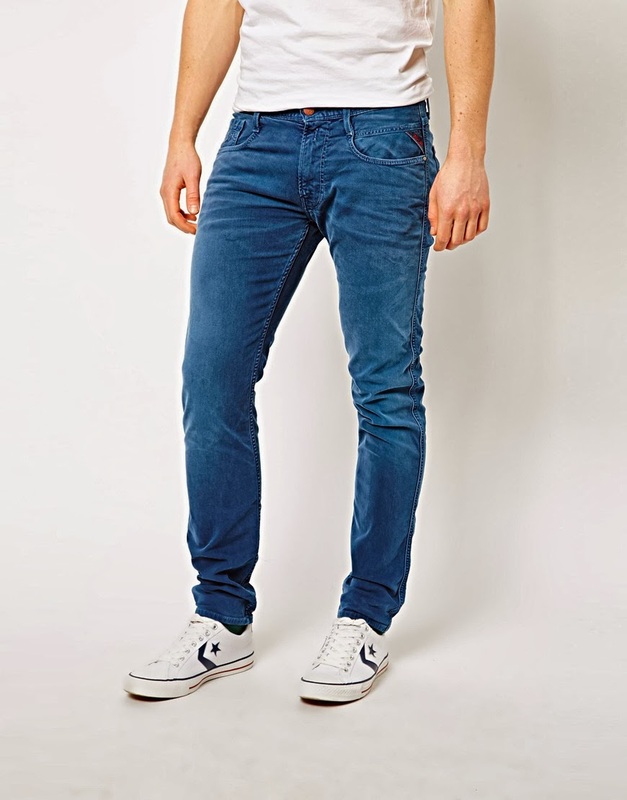 Carried through ASOS, I found these REPLAY Slim Fit jeans dyed in Blue. these jeans go great with my shirt of choice to add some color and make it stand out. Reading the reviews online, these jeans do not stain your shirts, undies or the furniture you sit on! Marca esclusiva para ASOS, estos pantalones marca REPLAY le van bien a la polo que escogí para este conjunto. Estos pantalones no manchan tu ropa interior, tus playeras o tus sillones.Encuentra los pantalones aquí. 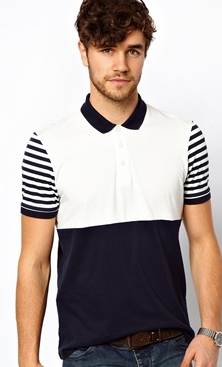 ASOS has this black and white polo with polka dot cut and sew. This shirt can be thrown along with a cardigan or a blazer for this winter. I like the slick, slim fit and the stripes across the shoulders adds more detail to it. Esta camisa de ASOS le va perfectamente a los pantalones de arriba. Ademas, le puedes combinar una suéter o abrigo casual para el clima frío. Me gusta que la polo es pegada, y tiene las rayas en los hombros…dandole detalle e interes a esta polo.La puedes encontrar aquí! 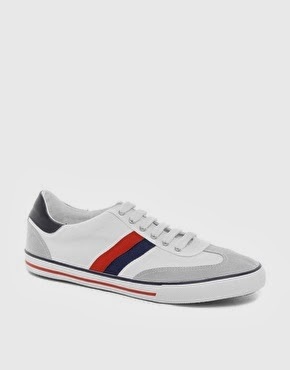 Asos has these Retro Sneakers on sale for $21.78! These go great with any outfit. I chose this pair to add a pop of color through those bright red stripes. Finalmente, estos tenis de ASOS están en especial a $21.78. En verdad le van bien a cualquier conjunto. Escogí este par de tenis por que las lineas rojas le da un poco de color, conocido como el "color block" y resalta el traje por completo.